Courtesy of Stephen E Malouff Realty Group, Stephen Malouff. ABSOLUTELY GORGEOUS HOME IN THE HIGHLY COVETED ARCADIA RIDGE–WHY WAIT TO BUILD, THIS HOME IS LESS THAN A YEAR OLD & COMPLETE WITH ALL THE BELLS & WHISTLES EXUDING ELEGANCE AND CLASS–OPEN FLOOR PLAN BOASTS HARDWOOD FLOORS & CERAMIC TILE–OVERSIZED ISLAND KITCHEN W/GRANITE–42 RAISED PANEL CABINETS W/CROWN–BUILT IN STAINLESS APPLIANCES–FRIDGE CONVEYS–PENDANT LIGHTS–tRAY CEILINGS–RECESSED LIGHTS–WATER SOFTNER–QUICK ACCESS TO LACKLAND, 1604, HWY 90, SEAWORLD, MICROSOFT AND MANY SHOPPING CONVENIENCES!! 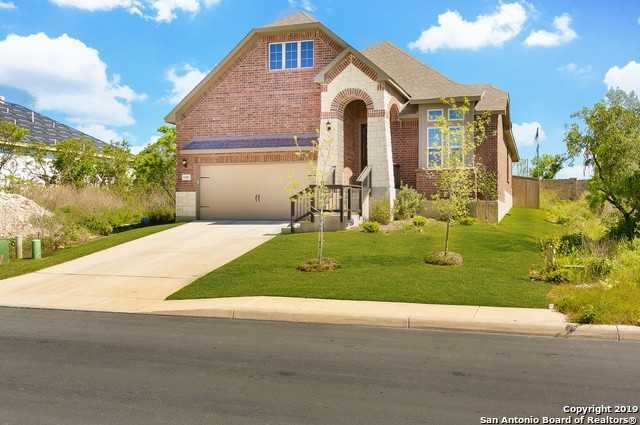 Please, send me more information on this property: MLS# 1377156 – $278,900 – 13707 Sunnydale Pass, San Antonio, TX 78245. I would like to schedule a private showing for this property: MLS# 1377156 – $278,900 – 13707 Sunnydale Pass, San Antonio, TX 78245.